NFC mobile payments will be hot at Mobile World Congress in March. 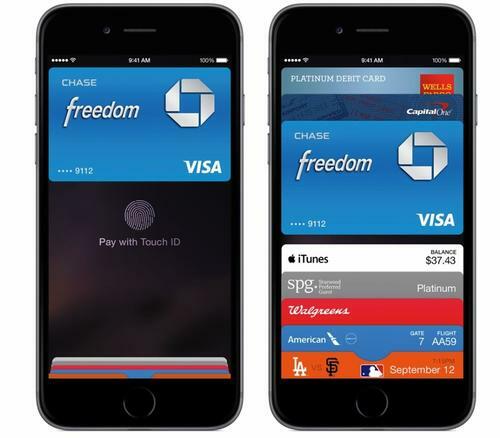 Since Apple Pay launched, every US bank wants in and the market in Europe is ready. 2015 will be the year of massive adoption of NFC mobile payments. Since the introduction of Apple Pay every bank in the US is interested in deploying the system. Several manufacturers will be showing new handsets using NXP's PN66T module for secure NFC card emulation. While Apple Pay has not arrived in Europe yet, the old world has the highest penetration of contactless POS terminals, and the market is ready. As usual Apple won't be present at the MWC, but the influence of Apple Pay will be everywhere. While last year Google made the news with the introduction of Host Card Emulation (HCE) for Android, this year Apple is giving the definitive boost to mobile payments by, finally, supporting NFC and contactless mobile payments on its iPhone 6 and the Apple Watch. Several key executives in the financial and payments industry have already been announced as keynote speakers for the congress. They include Charles Scharf, CEO of VISA; Raja Teh Maimunah, CEO and COO, Digital and Transactional Banking, Hong Leong Islamic Bank; and Francisco González, Chairman and CEO of BBVA. Before Apple Pay there have been many trials and mobile payment services deployed all over the world. Preliminary figures from the GSMA show that there are over 256 services currently live in 89 markets, including tap-and-pay solutions for retail and mobile payment solutions for eCommerce and person-to-person. But most of these services are One important factor has been the two major blows the carriers received last year: first the introduction of HCE, which makes it unnecessary to use a hardware secure element on the phone to authorize the transaction; second the launch of Apple Pay, using a dedicated SoC from NXP, leaving the carriers completely out of the system. HCE is slowly gaining traction, but every bank and credit card company needs to implement their own system, set up cloud services and the necessary support. Apple Pay is much easier. The bank just needs to get in line for Apple to support their cards, pay the substantial setup fee and the rumored 0.15% commission on each transaction. There are more than 500 financial institutions in the US alone that are waiting to get Apple’s approval to join Apple Pay. In order to gain support for HCE Google offers the possibility to use its Google Wallet service in the US through a virtual credit card. Meanwhile carriers have been getting some deals in many countries. While they can’t force Apple to drop the NFC features of the iPhone, they have been successful stopping some OEMs to include NFC secure elements in many devices. They can do that because most high-end models are sold subsidized by the carriers as part of a service contract. That is why Google promotes products such as the Nexus line, which are designed by Google with a hardware partner, incorporate Google’s unmodified Android OS, and are sold unlocked directly to consumers. The introduction of NXP’s PN66T SoC last November, which could give Apple Pay functionality to Android devices, adds a new possibility for OEMs and financial institutions. Rumors in the industry indicate that several manufacturers will introduce models equipped with the PN66T at the show, but some will have similar models without it, depending on the market and the commitments with their carrier partners. It is unclear what system banks and credit card companies will use to provision their services on the handsets equipped with the PN66T. We’ll have to wait another six weeks to find out. But I’m convinced that 2015 is the year that mobile payments will finally be a common service for most users. I hope that the industry finds the way to provide a simple, easy to implement, solution that consumers accept. Apple Pay has shown that it is possible. Now the others have to follow. just beginning to be widely available to consumers.